I AM CHALLENGED TO CREATE WORK THAT ENGAGES ALL OF MY SENSES. A JOURNEY FROM THE EVERYDAY TO THE EDGE OF INFINITY. My art is an ongoing investigation of mapping the night sky, travels, and childhood memory. I draw inspiration from life: an early childhood in the shadow of Disney’s fireworks in Anaheim, a textile apprenticeship in Kobe, art direction in Hong Kong, studying in London and rural life in Wales. 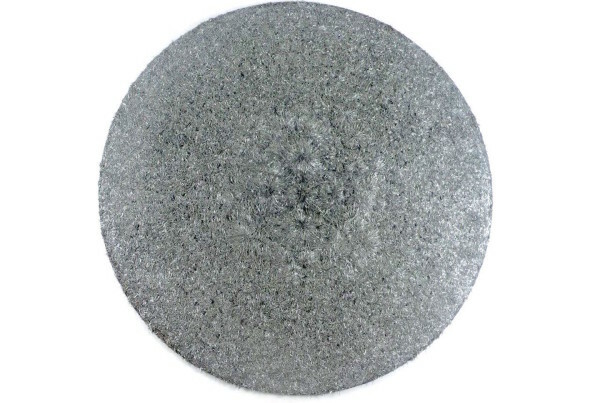 I look for the universal in the particular and the connections between different times, places and cultures, using a complex, abstract personal investigation guided by intuition. 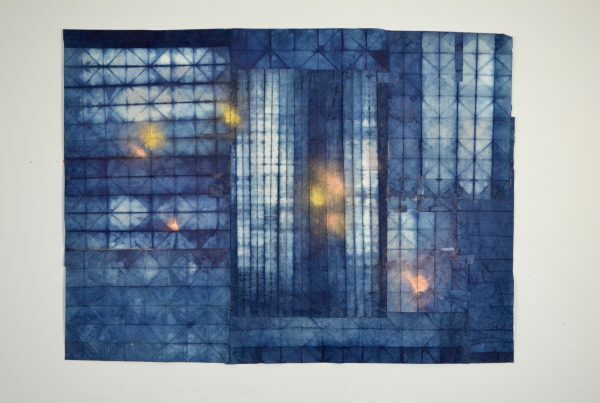 My work is diverse – iron, Japanese textiles, and paper – but always closely linked to process and understanding of materials including their history and connection to culture. 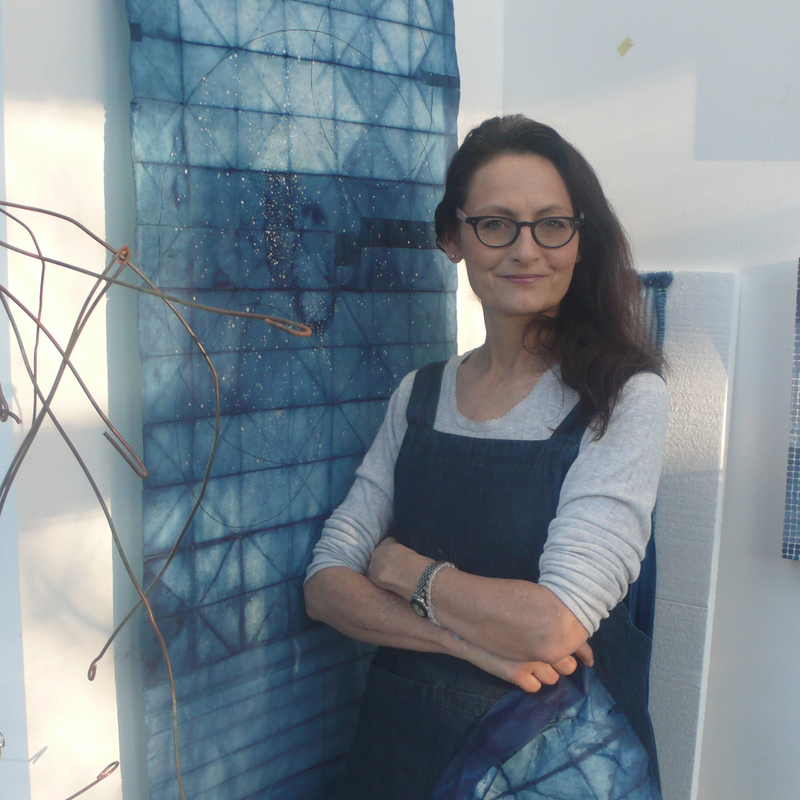 Currently I am exploring ancient methods of plant dyeing techniques, Earth pigments and things found in the river as well as using organic sugar fermentation to make Indigo, and ruminating on the consequent resonance in society, nature, space and time. I exhibit my work nationally and internationally. I am participating in upcoming exhibition, ‘Room’,January, 2019 at Loveland Museum, Colorado and at Strathmore Museum, Maryland in March,2019 . 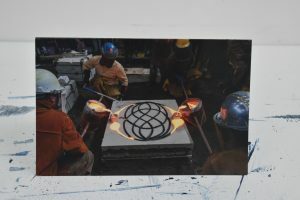 I was visiting artist at the University of Minnesota, 49th annual iron pour in April and have participated in many conferences and panels as a guest speaker. I am available for teaching workshops, speaking engagements and commissions. 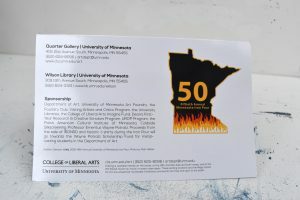 Absolutely thrilled to received a invitation to the 50th Annual Minnesota Iron Pour with my work ‘Unity’ on the cover. This was a performance pour artwork inspired by my Celtic heritage linking us all as one. 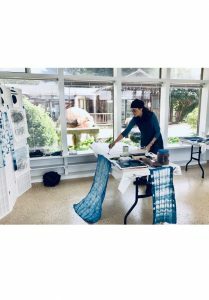 This winter I was selected to be artist in residence at Mendocino Arts Centre .This gave me the time and space for reflection. The amazing light filled studio was a joy to work in. Everyday was truly inspiriting walking along the Northern California Coast. I loved the light and colours and used a limited palette of indigo and madder that reflect the coastal experience. 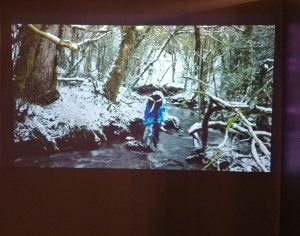 Last week of ‘Room’ at the Loveland Museum. Wild Feathers In A Iron Landscape . To the skies Justine Johnson looks with a similar attention as a haiku poet who tries to stay awake for his everyday sensual impressions. A very old Japanese haiku is like this: 'In the paper door, keyhole the whole heavenly stream.'" This is clever stuff, expertly done, and none of it more expressive than Justine Johnson's "Bell for Peace", a fragile, helmet-shaped form, half-eroded by rust as iron wont to do. Stained, worn and fragmentary, it appears to be a bell made from an ancient Viking helmet or relic of a long-forgotten war. Beautiful in its decay, it lingers as a palimpsest of failure, loss and hope. And, as if to push it home Justine Johnson gives us "Juliette", a hooded serpent basking on a rock, waiting to lure a hapless victim into temptation; its identity-or is its predatory gaze-covered with a red leather mask. 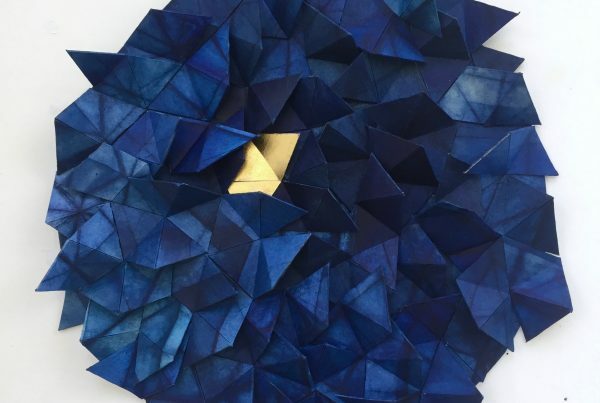 Over 20 years of knowing Justine as an artist she has shown a dedication to making work that combines a high level of investigation and conceptual thought with a deep sense of materiality, which always makes for thought provoking pieces.